These were some the viking foods I had sitting in my kitchen today. 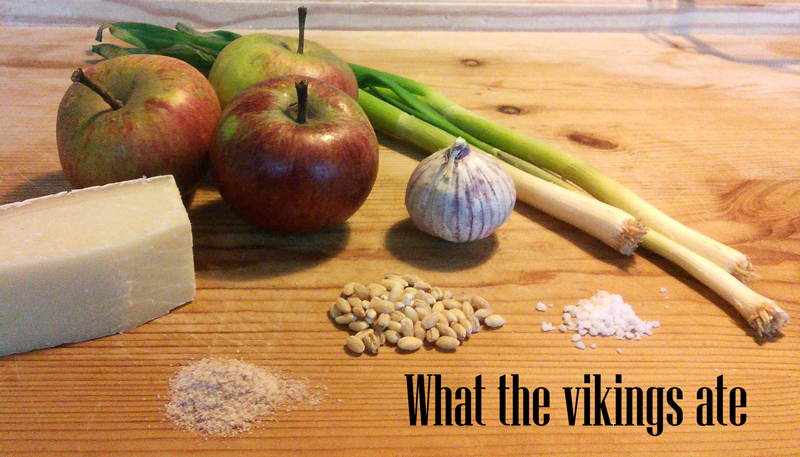 Spring onion, pearl barley, garlic, salt, coarse flour, apples and some hard cheese. 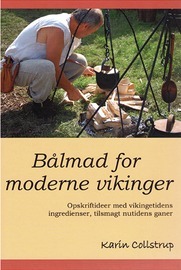 Browsing the web, especially on pinterest I sometimes come across some medieval and viking recipes, for reenactment events or markets no less, that makes me groan. 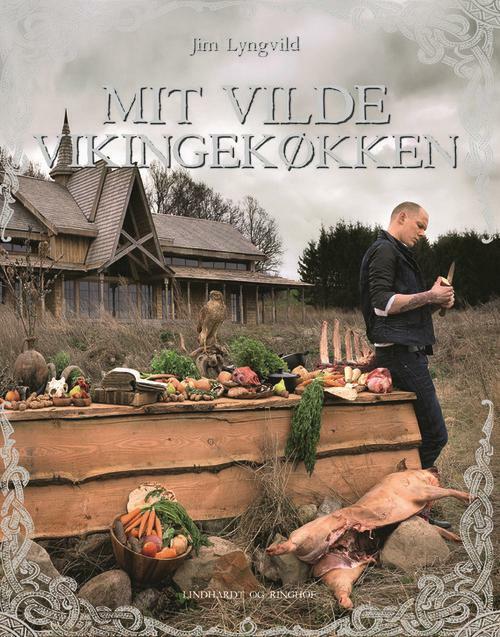 This isn’t about perfect authenticity, but it is about presenting something that is plausible – especially when cooking for the public. 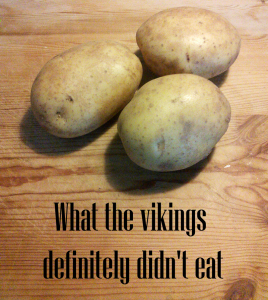 In my little project to make a list of what the vikings might have eaten, I thought it might be a good idea to make a list of food that is definitely no-go for viking and early medieval events. 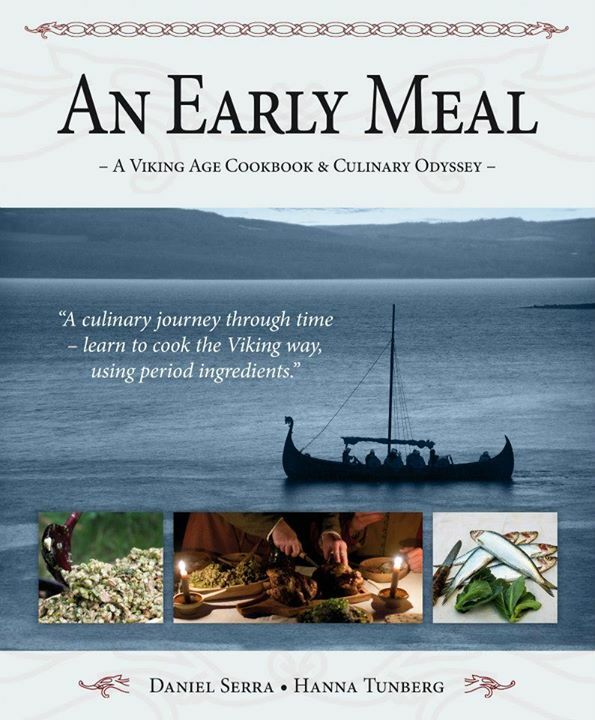 The food on this list was either not invented till much much later OR is food stuff only found in the Americas and that the Europeans wouldn’t know till after Columbus – like turkey.